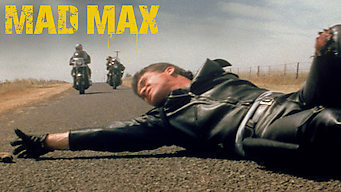 How to watch Mad Max (1979) on Netflix France! Yes, Mad Max is now available on French Netflix. It arrived for online streaming on March 15, 2019. We'll keep checking Netflix France for Mad Max, and this page will be updated with any changes. In a post-apocalyptic future, a malicious gang murders Max's family as an act of retaliation, forcing Max to hit the open road seeking vengeance. Max the cop was a family man -- until a heinous crime drove him mad. A biker gang is no match for a revved-up Ford.